FOR THE WHOLE FAMILY: An extremely large interior sleeps up to 5 and near vertical walls increase space. The rectangle floor is 80 sq. ft. and the center stands 81” tall, and the walls stand 64″ so you can even walk around! BUILT FOR THE OUTDOORS: Waterproof bathtub style flooring, ultra-violet resistant materials, chain-corded steel, and fiberglass poles all provide enhanced strength and durability in even the toughest terrain and weather! 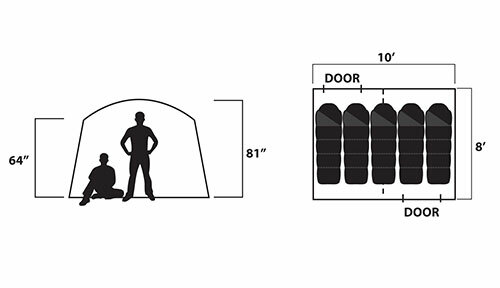 TWO ROOMS: A room divider lets you turn the tent into two 5’x8′ rooms, each with a door and 3 windows. 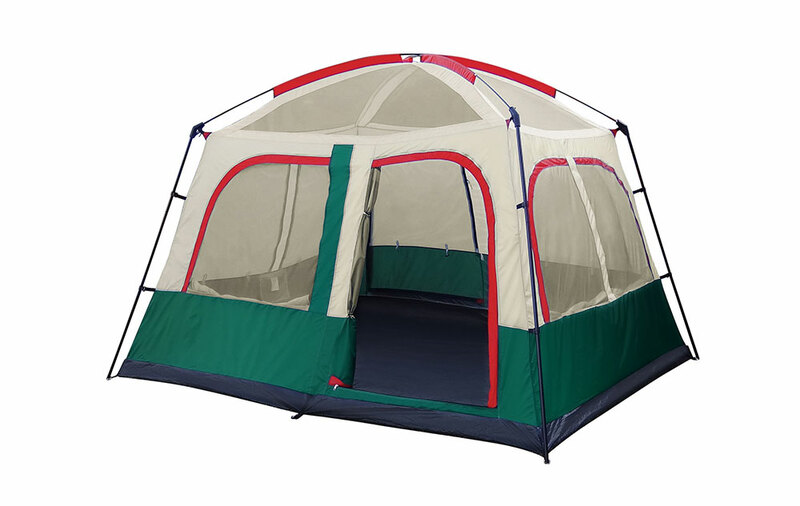 FAST & EASY ASSEMBLY: Setup for this camping cabin tent is simple for seasoned outdoor veterans and newcomers alike. Mesh Windows & STORM FLAPS: Mesh roof panels and six mesh windows keep a comfortable airflow while keeping out bugs and mosquitos. The windows have zipper flaps to shut for privacy or during rainstorms. 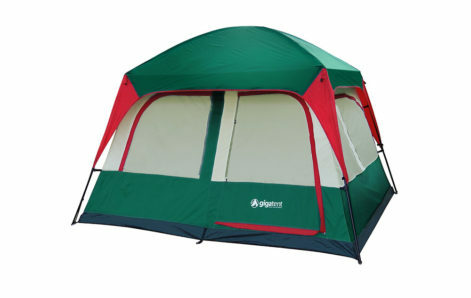 LIGHTWEIGHT & EASY TO CARRY: The tent comes with a carrying duffel bag with a large opening for easy packing and a pole bag, stake bag, stakes, and extra guy lines. It weighs only 17.4 lbs and packs down to 27x10x10″. Breathtaking landscapes, astonishing hikes, and an impressive waterfall – those are just some of the features of the great old Prospect Rock trail in Manchester Center, Vermont. The northeast is full of wonderful mountain ranges and hiking trails and this is one of the most iconic ones. If you’re looking to experience this classic traveler’s stop, GigaTent is here to make it all the better! For high-quality gear and equipment on your next adventure, choose us to provide you with what you need! 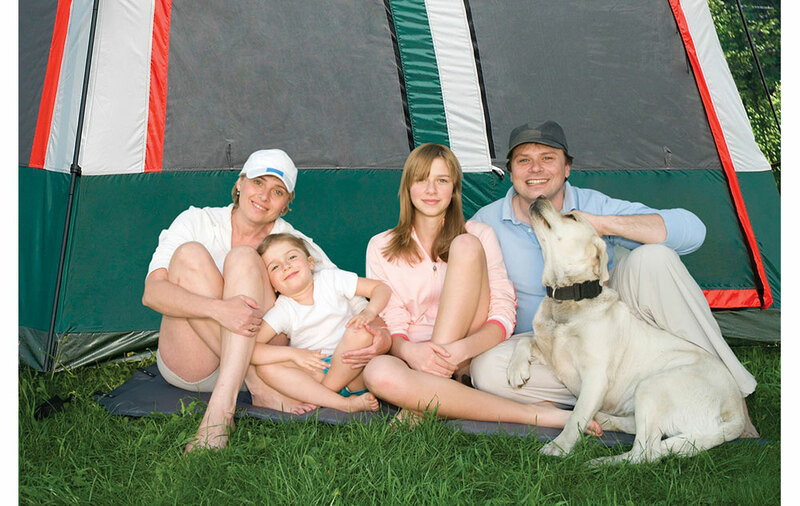 Simplify your camping trip with GigaTent! Super roomy to accommodate large families with two rooms, two doors, and near vertical walls provide incredible accessibility, space, and privacy. Protect the interior with two large zipper flaps and weather-resistant polyester body that will shut out all rain and wind for complete protection. Mosquito netted mesh windows ensure that you get a comfortable night’s rest under any conditions. Get great mountainous air flow without worry about insects invading your space with our tent. Made for 3 seasons that’s perfect for any outdoor lover!